Kids head back to school, trees start to show their true colors, and it’s THE best time of year to take care of your lawn. Contrary to popular opinion, fall is the best time of the year for lawn care. Fertilization, weed and thatch control, establishment of new lawns, and renovation of poor quality lawns should be done in the fall. Why is fall the most crucial time if you want a lush, healthy lawn? Two words: weed control. Early fall is the best time to start taking action to kill off those pesky weeds that have plagued your lawn all year, so that next year your lawn can grow healthier, better, and lusher. The best part? Treating your weeds in the early fall will take care of both perennial (think: dandelions that return every year) and annual weeds, like crabgrass! Annual weeds are the type that die each year, but always seem to pop up again next spring, like crabgrass. Winter annuals germinate in late summer through early fall, and grow through the fall. When Indiana has a mild winter, these weeds can even continue to grow during warm spells in the winter and into early springtime. When you treat your lawn in the fall, you’ll take care of these and other fall germinating weeds and eliminate them before they have a chance to establish themselves. And without extra weeds in your yard, your care and nutrients go straight to your grass. That means a full, green lawn next year that’s healthier from the start. Fall is also the best time to treat perennial weeds such as dandelions, because that’s when the plants begin to prepare for winter by shifting foodstuffs from leaves to roots. Perennial weeds don’t naturally die off for at least two years, and the longer they have to grow, the tougher they are to get rid of. Treating with a herbicide during the fall allows the chemicals to be absorbed along with nutrients being stored for the colder months, killing the weeds at the root level. As you’ve probably noticed, caring for your lawn is a year-round job. Get ahead of the game with GreenLawn by Design’s Services. 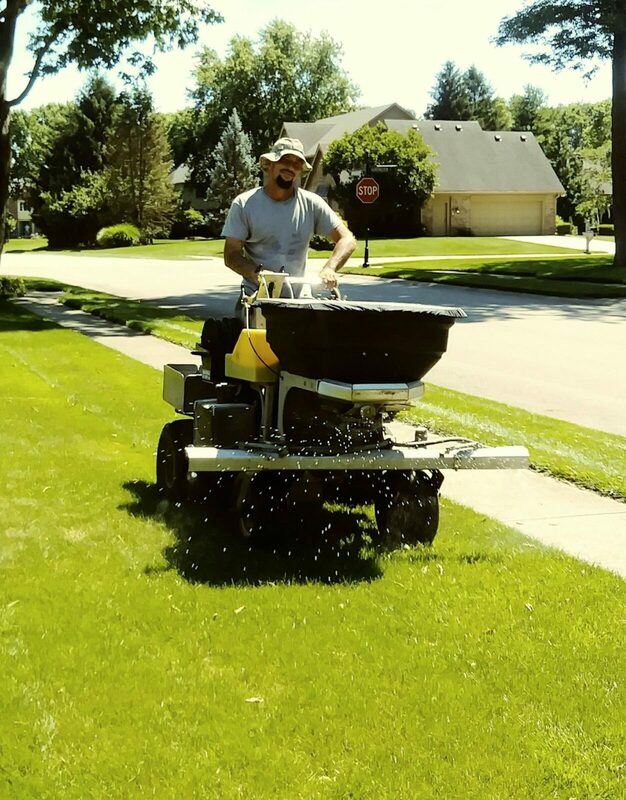 We offer professional weed control and winterizing services for your Carmel, Westfield, Fishers and surrounding area lawns, so give us a call at (317) 804-8088. Our goal is to make every lawn in the Hamilton County area, lush, green and weed free!